How much is Elaine May Worth? 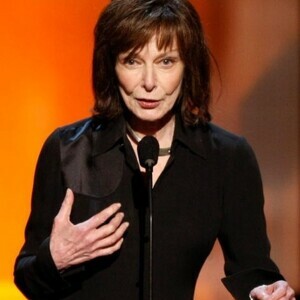 Elaine May Net Worth: Elaine May is an American screenwriter, film director, actress, and comedian who has a net worth of $10 million. Elaine May was born in Philadelphia, Pennsylvania in April 1932. May started out doing improvisational comedy routines with Mike Nichols in the 1950s as Nichols and May. She later developed her career as a screenwriter and has been nominated twice for an Academy Award for the films Heaven Can Wait in 1978 and Primary Colors in 1998. May reunited with Nichols to write the screenplay for the film The Birdcage in 1996. May received the National Medal of Arts in 2012 for her unique contributions. May moved to Chicago, Illinois in 1955 to become a founding member of the Compass Players. As part of Nichols and May she performed to sold-out crowds nightly and made various radio and TV appearances. The duo inspired many comedians such as Steve Martina and Lily Tomlin. May starred in the films Enter Laughing, Luv, The Graduate, A New Leaf, California Suite, In the Spirit, and Small Time Crooks. She wrote for the movies Such Good Friends, Heaven Can Wait, Reds, Tootsie, Labyrinth, Dangerous Minds, and Primary Colors. May also has won a BAFTA Award, a Saturn Award, an American Comedy Award for Lifetime Achievement, and a Writers Guild of America Award.